K.S. 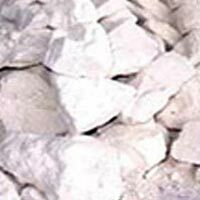 Industries is a leading organization dedicatedly engaged in the manufacturing of Minerals like White Dolomite Powder, White China Clay Powder and China Clay Lumps. Backed with an experienced team and well furnished infrastructural base, we have been offering unmatched quality minerals, known for excellent physical and chemical properties. Owing to more than 2 decades of experience, we have been successfully catering to the different demands of the industries. Our perseverance and dynamism has assisted us in nurturing the growth of our company. With our grit and excellence, we have successfully outpaced many of our rivals and achieved a competitive edge. We have set benchmarks as one of the most trusted Minerals Manufacturers and Suppliers from India.